Scanned Synth Pro can be purchased here. 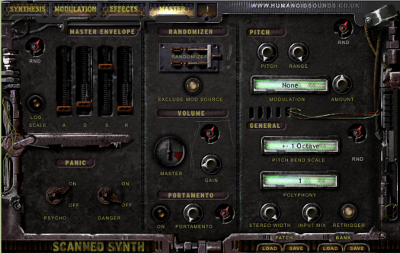 Xenogenesis containts 137 sounds for Scanned Synth Pro. I was on the sound design team for the 2.0 release a few years ago and the Xenogenesis soundset attempts to remedy the fact that the factory set is currently woefully deficient in basses and leads, so I have included over 40 sounds in each of those categories as well as other sounds. Genres targeted: Ambient, Drum & Bass, Dubstep, Glitch, Grime, IDM, Industrial and Trip-Hop.